Briefs: Neil Patrick Harris To Host Emmys, and Who is SheZow? 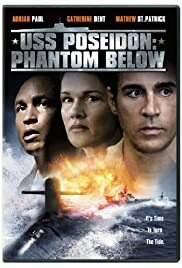 well i like the film a lot because of the skill and tenacity of the crew in the heat of battle on board any submarine also i have played similar submarine game's in school and at home it is very hard to hunt hide a kill your enemy and everybody brings something new too the film's like this one compared to others on the market not based on a video game also i like the fact this film had a happy ending the family of the pervous xo got close-her in her brother death as his last request to a friend also i also learned a lot from this type of movie and what theater they were using for the under water footage and that very little cgi was involed and like every film everybody new their line because they had their a game in this film also i am a hudge fan of Adrian Paul and i know he doe's thing's buy the book in this film and that's OK in my book. anyway i think the other actor's and actress's were also great doing their part considering all the film's and TV series they have been in before this film came to light and i would love too see this film considered for netflex apple TV and Xbox video on those platform's and this film is a great fiction of life and death and true courage in the line of duty of a military type film.